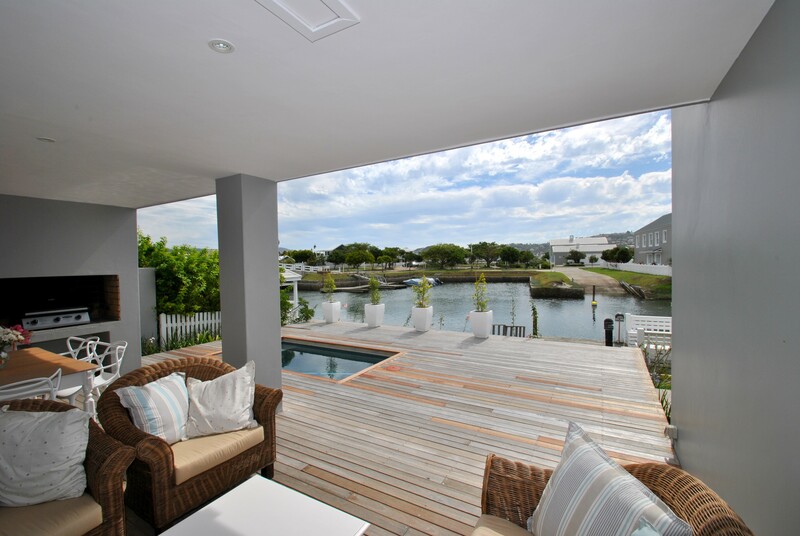 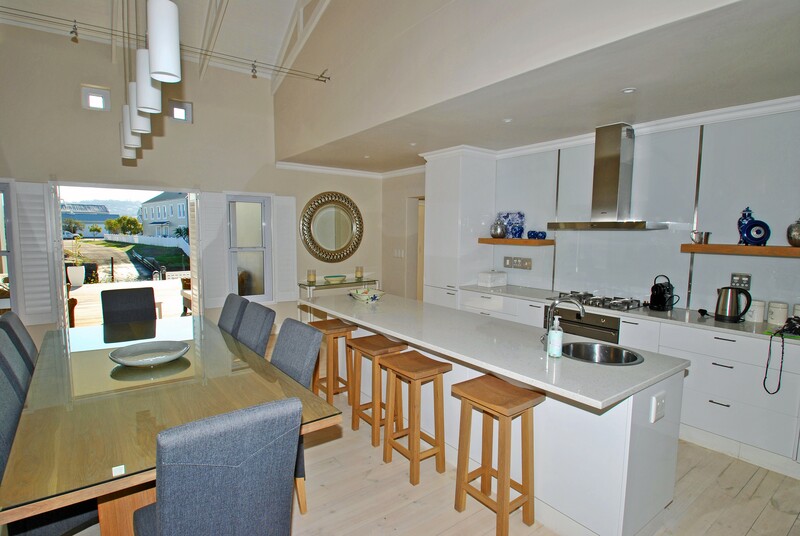 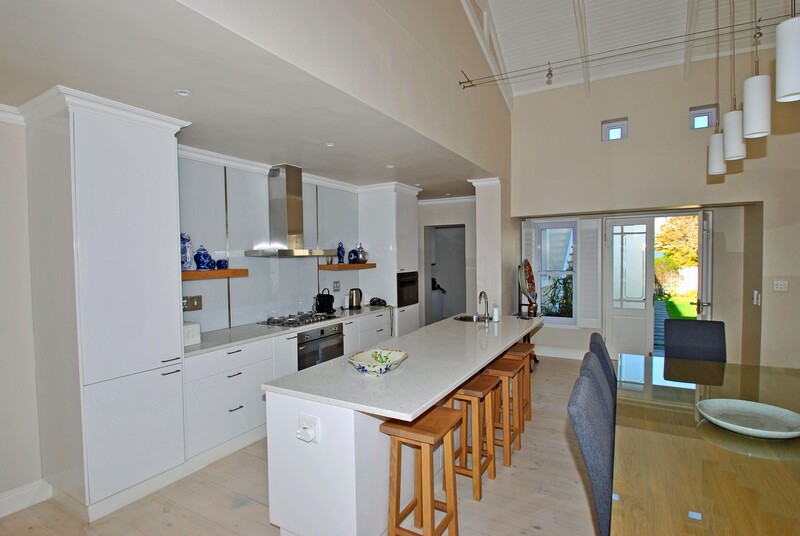 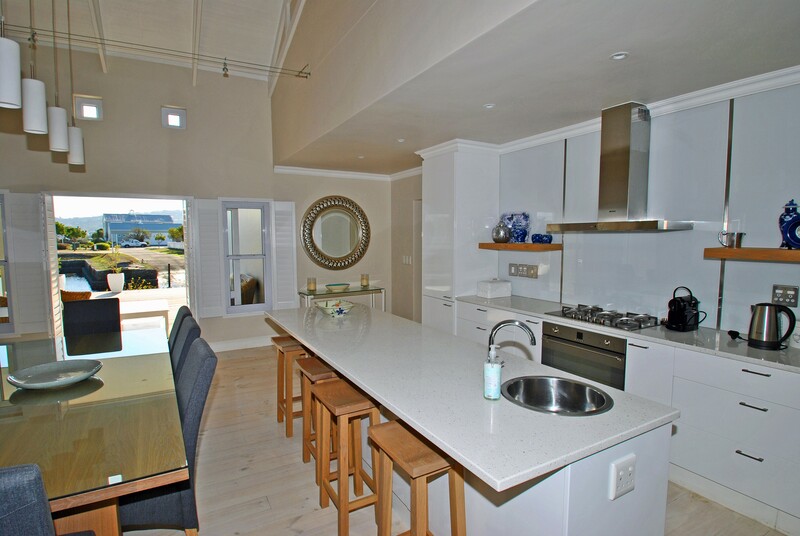 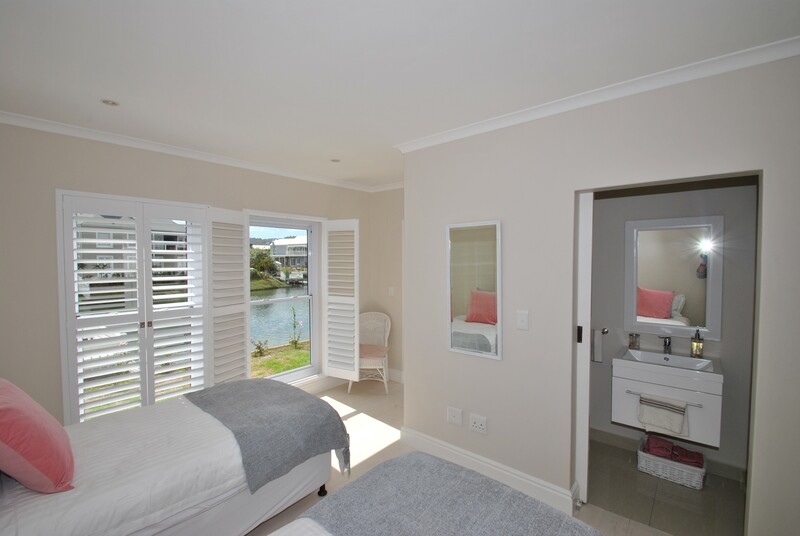 Beautiful north facing home on Thesen Island with stunning views over the canal. 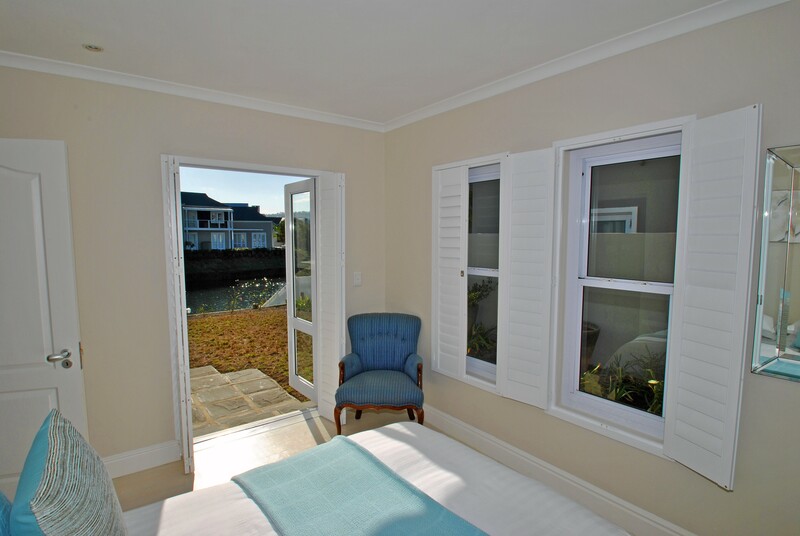 There are two en-suite bedrooms on the ground level. 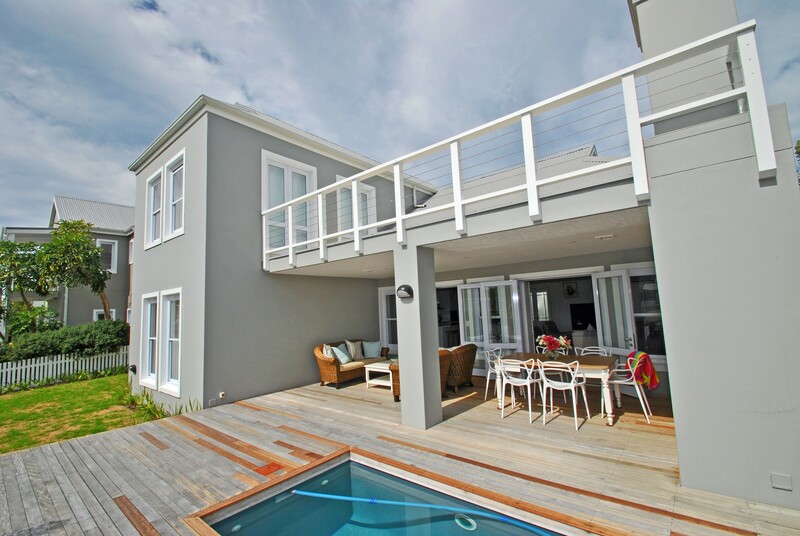 Open plan living areas flow beautifully onto the deck with built in braai and pool. 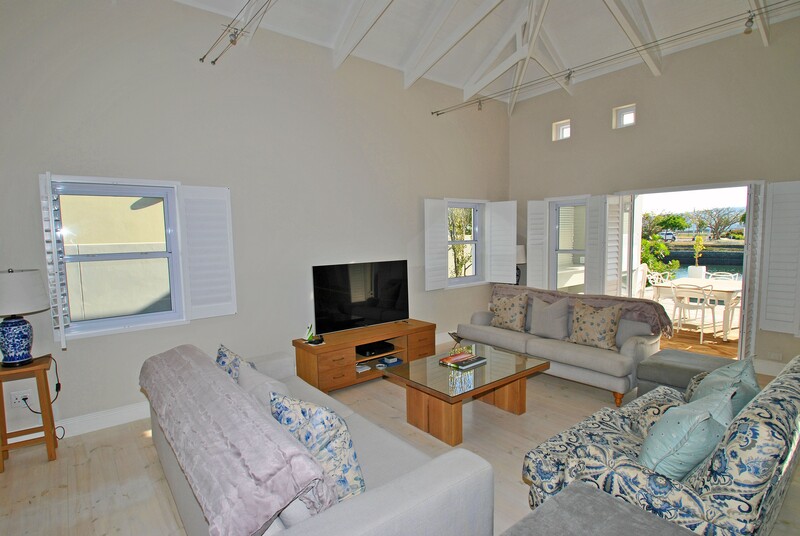 Please note no wifi available. 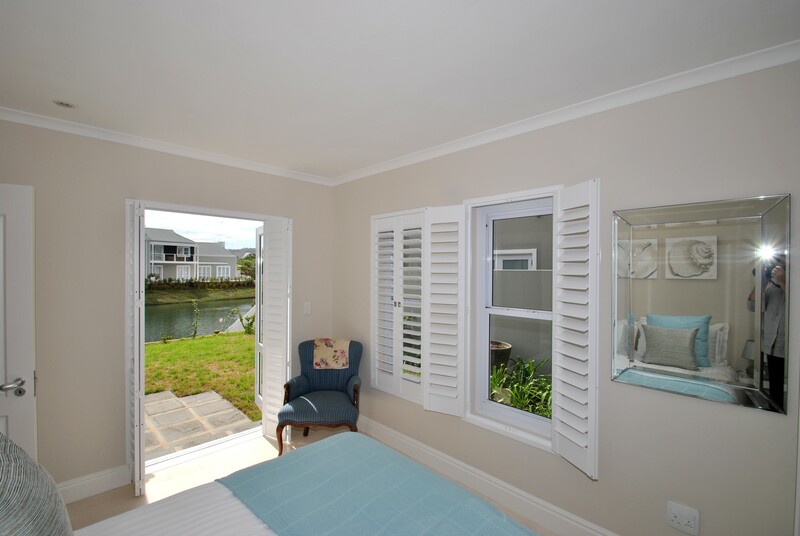 Guests can take leisurely safe walks on the island. There are 3 beaches on the island, a bird hide and maze. 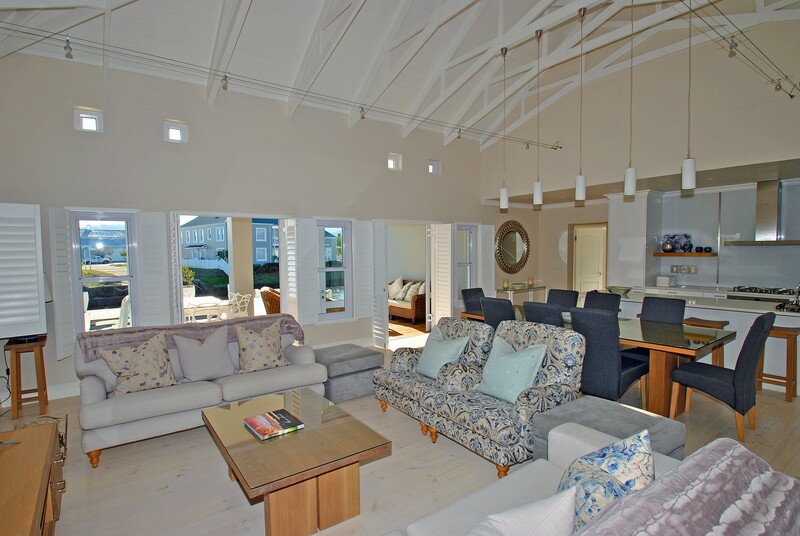 There are tennis & squash courts for the more energetic guests. 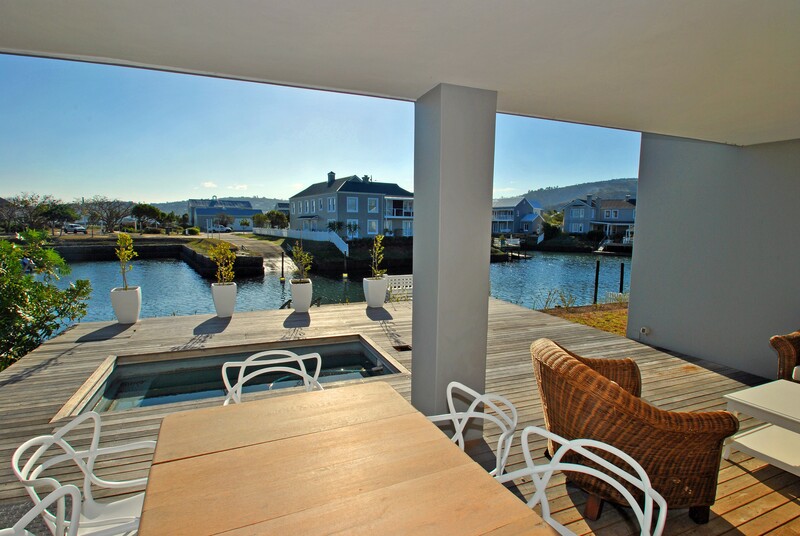 Within 5 minutes walk you are in Thesen Harbour town with fabulous restaurants and the Knysna Waterfront is a 15 minute walk away where you can shop and eat until late.